As you know, I have been building Cafe Racers since the late 1970’s and the good old CB750 has been a great platform as an affordable classic that can be turned into a snarling , Tarmac eating Cafe Racer machine. But, even though the bike does have a disc brake set up, it leaves a little to be desired when you grab a handful to stop rather quickly and fades like a water color painting in the desert sun. 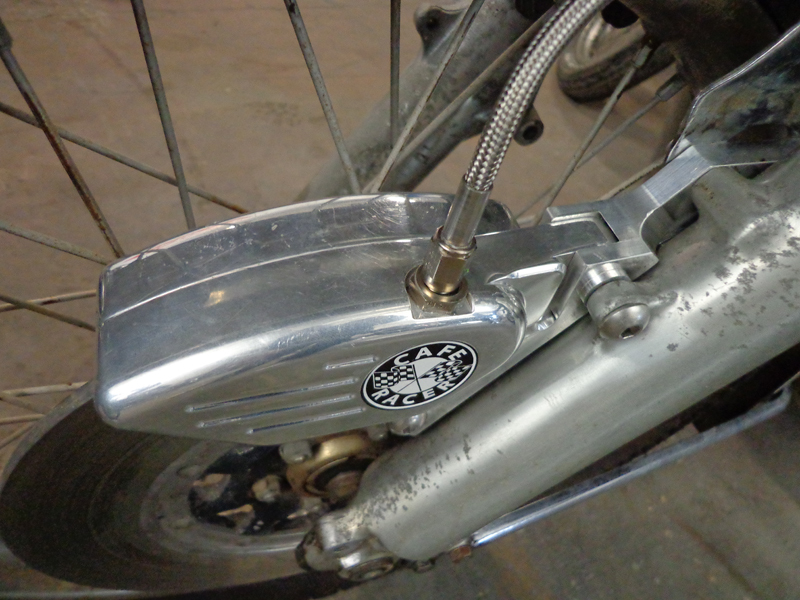 So, over the last few months, we have been working on different caliper set ups, and have now made a rally cool front brake assembly that has a Wilwood 4 pot brake caliper that will stop you faster than a red light outside a police station. This is a great set up and am almost there, we used a 1974 CB750 K model as the main model and fork set ups are for the 73-76K series and this is a complete kit to bolt to your forks. 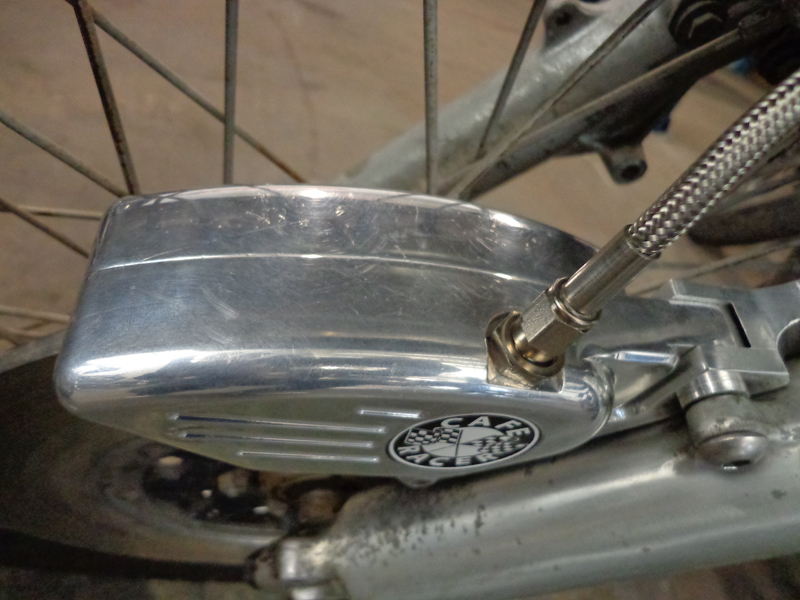 The set up here is on an old rusty bike and we haven’t really polished this caliper yet as this is all in the set up stage, but will be available in the next couple of weeks and will be polished or chromed, the bracket will be fully polished as that’s aluminum too. 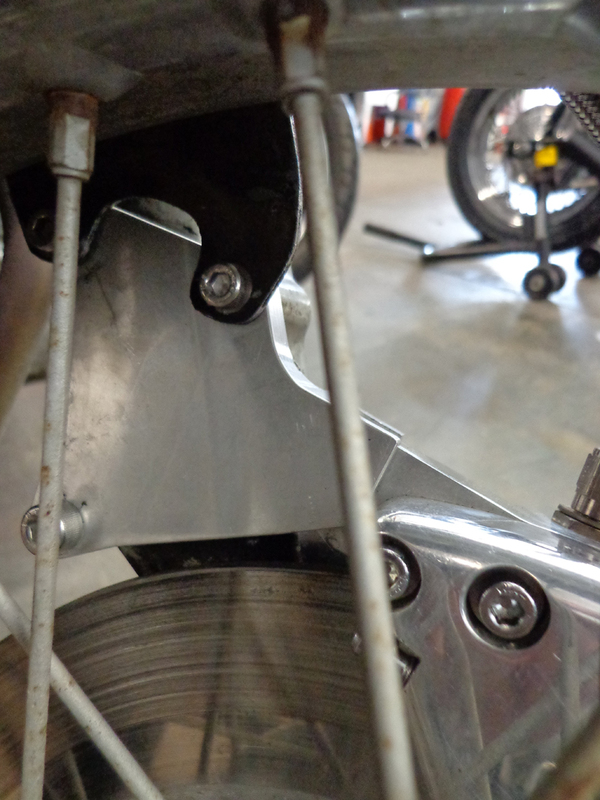 This will be a direct bolt-on replacement for your CB750 HONDA S.O.H.C. K model. Now, I have tried this set up and bloody hell, it stops so fast, compared to the original brake caliper, Wilwood makes great brakes and this 4 pot will stop on a Dime, so be careful!!!! Price? Well, right now I am trying to cost this all out, as I shall be using braided hose brake lines and all the hardware in stainless steel too, but I will use this set up for sure. 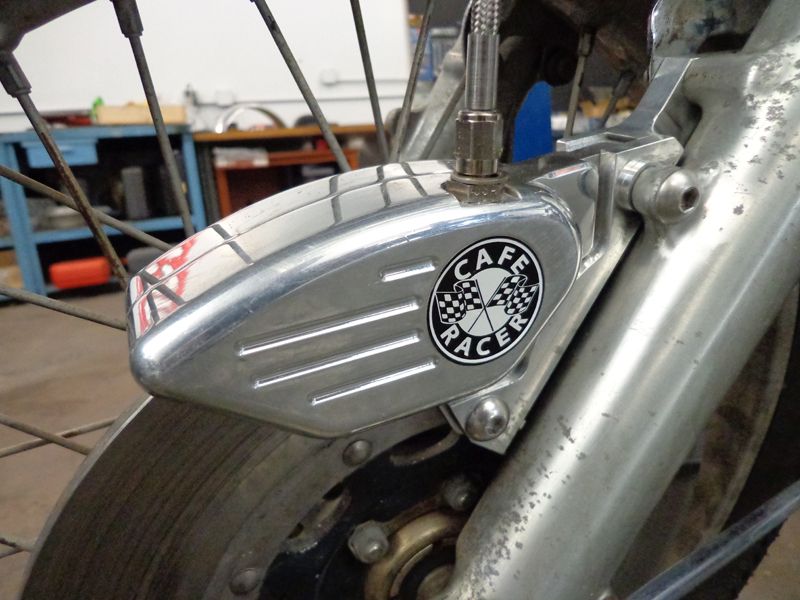 Keep checking back as I am going to try this set up on a machine I am building for a customer in Korea and this will be a great set up for that Cafe Racer Honda. 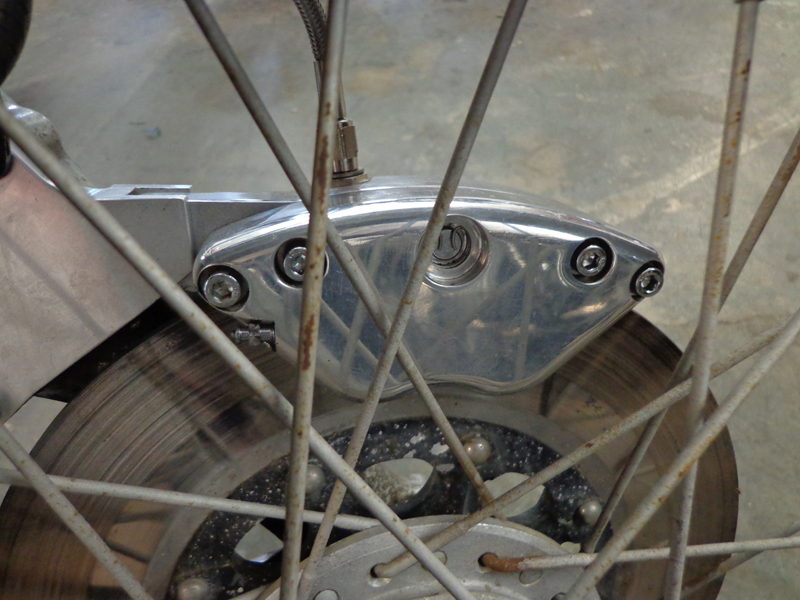 I will be adding more photo’s, so you can see this and maybe later on a video, so you can see how to fit this great New brake set up for your ride. This entry was posted in Blog and tagged cafe racer, cb750, cb750k, Honda, motorcycle, sohc, ton up.